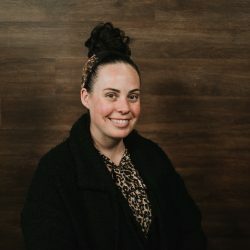 Kristin serves as Worship Leader, Promotions Director, and Assistant Director of Arts and Music at New Life Christian Center in Lancaster, Ohio. In 2005 she graduated from Indiana Bible College with a Bachelor’s Degree of Arts and Music and in 2007 from Liberty University with a Master’s Degree in Business Administration specializing in International Business. Currently, Kristin is pursuing a Doctor of Worship Studies Degree at the Institute for Worship Studies. If you were to sum up Kristin, you could include ~ worship leader ~ vintage junky ~ closet nerd ~ student ~ writer ~ designer ~ & a hyphen!